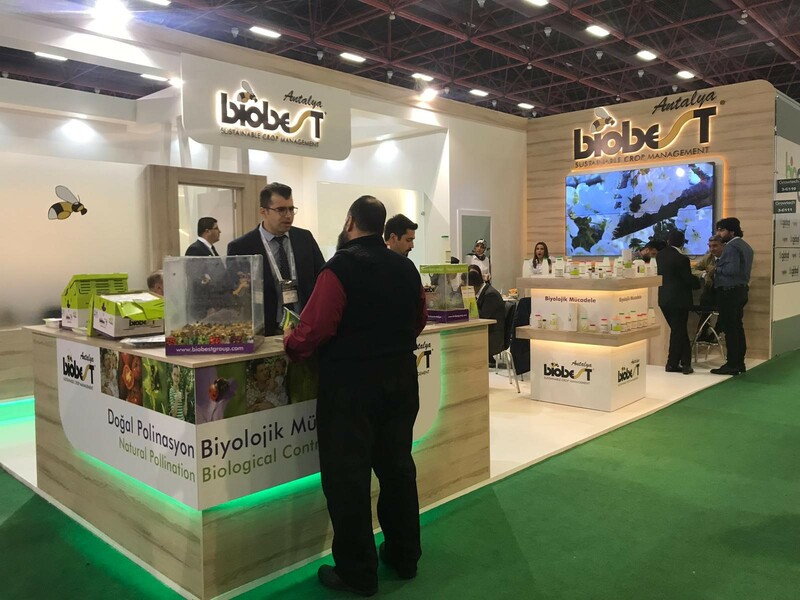 Biobest Antalya welcomed more visitors than ever to its busy stand at the recent Growtech Eurasia exhibition in Turkey. The four-day event, now in its 18th year, is held at the end of November at the Antalya Expo Center. Going from strength to strength, Growtech has become one of the largest exhibitions in the glasshouse sector. A truly international event, Biobest was one of over 800 exhibitors from 30 countries. The busy show attracted over 85,000 agriculture professionals – growers, exporters, international technical advisors, public sector employees, academics and students from over 100 countries. For more information, please contact Lise Verachtert (lise.verachtert@biobestgroup.com).